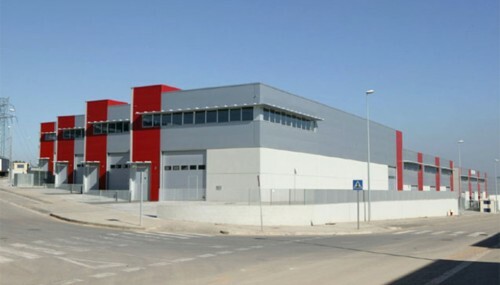 The Spanish manufacturer, which since 6 years has been operating from Cornellá de Llobregat, invests in new facilities in order to scale up its production capacity and accomplish new international technological projects. This brand new plant is a real step a head. It is design with big open spaces and large windows as well. It allows plenty natural light everywhere. It truly improves work conditions, which it encourage talent retention, productivity and significant energy savings. The Parque Empresarial de Cervelló (Cervelló) is an industrial scene reference within the first ring of Barcelona. The location is excellent, at just 10 minutes from Barcelona, has fast access to Barcelona’s Airport, AP-7 highway, A-2 motorway, Madrid-Valencia-Girona highway and exceptional communications with public transport. Bagel Systems, is a Spanish equipment manufacturer focused on developing and manufacturing added value laminating equipment for the graphic arts and packaging industry. Market leader with the integration technology of OMRON for finishing equipment, Bagel Systems delivers the best offset and best digital laminate productivity ratios.